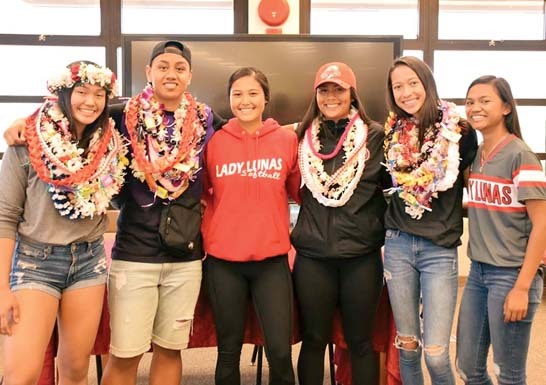 KIHEI — Nearly all Maui Interscholastic League sporting events went off as scheduled following Saturday morning’s statewide missile scare after an erroneous push alert was sent out by the Hawaii Emergency Agency. 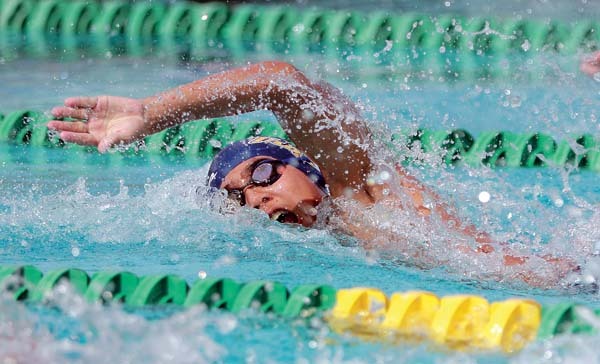 The MIL Invitational swim meet at Kihei Aquatic Center, originally set to begin at 10 a.m., started 30 minutes late to allow the Baldwin High School team time to warm up after it was diverted to the Shine Matsui Athletic Center at Maui High for shelter while en route to the meet. MIL canoe paddling regatta No. 3 was changed to an informal scrimmage after some teams left the Ka Lae Pohaku venue. The MIL wrestling round-robin meet at Maui High was delayed 30 minutes. Three MIL Division II morning basketball games in Hana, Wailuku and Hoolehua started approximately on time. Swimmers, coaches, officials and spectators moved into the designated shelter in the Kihei Aquatic Center conference room immediately after the incorrect message was received on cellphones. They remained there for approximately 15 minutes before being informed it was a false alarm. 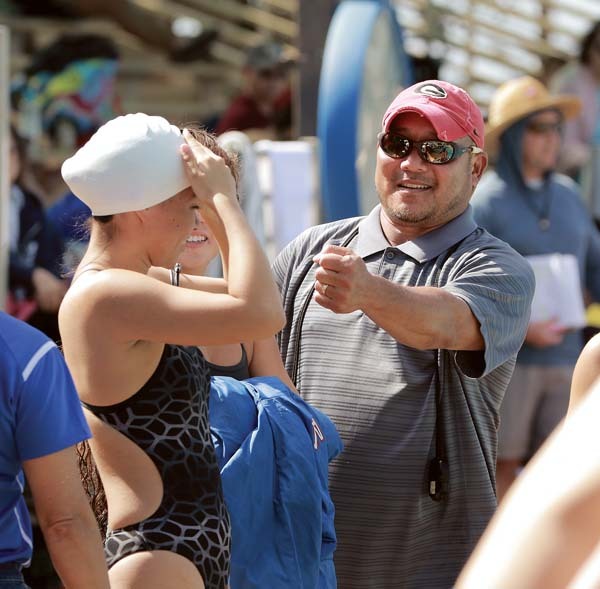 “We got an alert on our phones and it said, ‘not a drill,’ so everybody just reacted,” Maui High swim coach Reid Yamamoto said. “I’m going to say it was pretty good because everybody just got their stuff, went into the room and just waited. It was like a calm, but yet scared kind of movement all into that one room. Sandy Drake, the head swimming referee for the MIL and the state, said things went well at the KAC. “A couple of the lifeguards stayed out and directed people who were just showing up, even passers-by,” Drake said. “They had them come in. Baldwin coach Leighton Hao said his swimmers remained calm throughout their detour. Maui High senior swimmer Camryn Ban, the daughter of Sabers athletic director Michael Ban, helped keep her teammates calm at KAC. The paddling meet at Ka Lae Pohaku was just getting underway when the false alert went out. Paddling crews left their canoes, tents and equipment all on the beach and headed for shelter. Race officials used the sound system to direct the crowd and provide updates. 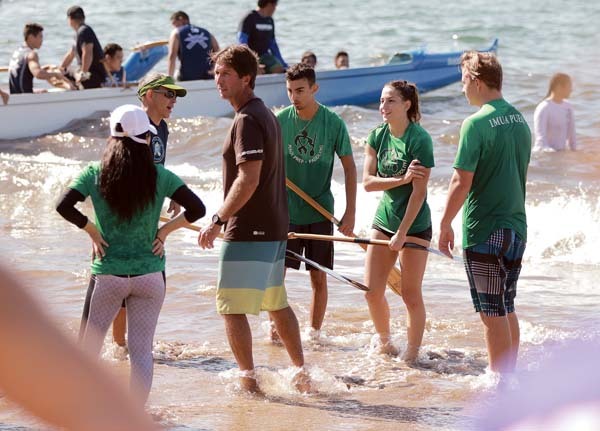 Kamehameha Schools Maui paddling coach Robert Brede said kids panicked and called their parents to be picked up. Some paddlers piled into the cars of parents to seek shelter as coaches tried to keep everyone calm. 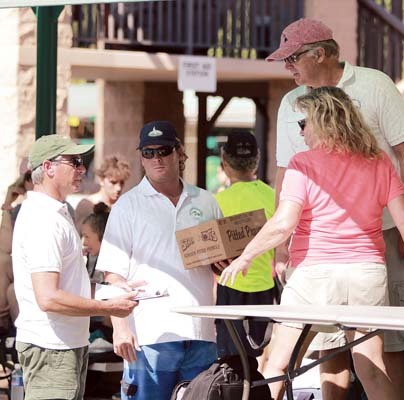 Once the all clear was given, officials decided to hold unofficial races, as several paddlers had left the beach and did not return. Balangitao said he would ask his sport coordinators — each MIL athletic director is in charge of one or two sports — to develop plans for their respective sports to discuss updating protocol in similar situations. He hopes to have written responses to discuss at the next MIL AD meeting on Feb. 6 at Baldwin High School. The MIL surf coaches certification clinic at Lahaina Aquatic Center went on, albeit a little bit later than scheduled. “We always start with a timed swim — coaches have to swim 500 yards in 12 minutes,” MIL surf coordinator Kim Ball said. “We were just about to start when we got the text. Then I got a call from the Hana coaches and they were on the Pali and they said, ‘What should we do?’ I told them to keep driving because there’s a room here without windows. We all were there with the lifeguards until we got the all clear. We were running short on time, so everybody swam at the same time — 11 of 12 made the cut-off time. * Robert Collias is at rcollias@mauinews.com; The Maui News’ Chris Sugidono contributed to this story. 200-yard medley relay–1. Maui Prep ‘A’ (Kysha Altura, Noelle Sheveland, Irie Gonah, Rebecca Geng) 1:58.402. Lahainaluna ‘A’ 1:58.67, 3. Maui High ‘A’ 2:04.96, 4. King Kekaulike ‘A’ 2:05.85, 5. Molokai ‘A’ 2:12.44. 200 freestyle–1. Jasmine O’Brien, Seabury Hall, 1:57.75; 2. Rebecca Buenrostro Gallimore, Baldwin, 2:01.54; 3. Paloma Banto, Maui Prep, 2:03.17; 4. Madison Eiting, Seabury Hall, 2:04.69; 5. Hailey Bogar, Lahainaluna, 2:11.82. 200 IM–1. Lexi Anderson, Lahainaluna, 2:12.09; 2. Jordynn Brown, Maui High, 2:18.80; 3. Kylie Carter, Baldwin, 2:20.80; 4. Caroline Short, Maui High, 2:27.33; 5. Paige Nagahama, Seabury Hall, 2:28.09. 50 freestyle–1. Rebecca Buenrostro Gallimore, Baldwin, 24.79; 2. Kysha Altura, Maui Prep, 24.95; 3. Irie Gonah, Maui Prep, 26.39; 4. Kamille Pellittieri, Seabury Hall, 26.57; 5. Hailey Bogar, Lahainaluna, 27.73. 100 butterfly–1. Jasmine O’Brien, Seabury Hall, 1:02.35; 2. Madison Eiting, Seabury Hall, 1:04.41; 3. Jordynn Brown, Maui High, 1:05.51; 4. Katelen Orquia, Maui High, 1:08.58; 5. Kapili Naehu- Ramos, Molokai, 1:14.64. 100 freestyle–1. Paloma Banto, Maui Prep, 56.16; 2. Irie Gonah, Maui Prep, 58.34; 3. Hailey Bogar, Lahainaluna, 1:00.01; 4. Olivia Bozich, Maui Prep, 1:02.46; 5. Noelle Sheveland, Maui Prep, 1:02.54. 500 freestyle–1. Jordynn Brown, Maui High, 5:27.89; 2. Kamille Pellittieri, Seabury Hall, 5:31.47; 3. Caroline Short, Maui High, 5:41.62; 4. Isabella Omura, Lahainaluna, 6:06.07; 5. Bailey Augustine, Baldwin, 6:28.25. 200 freestyle relay–1. Baldwin ‘A’ (Kaimilani Matsumoto, Kylie Carter, Rebecca Buenrostro Gallimore, Bailey Augustine) 1:43.49, 2. Seabury Hall ‘A’ 1:48.01, 3. King Kekaulike ‘A’ 1:48.35, 4. Maui Prep ‘A’ 1:53.59, 5. Lahainaluna ‘A’ 1:56.03. 100 backstroke–1. Lexi Anderson, Lahainaluna, 1:00.45; 2. Paloma Banto, Maui Prep, 1:05.47; 3. Kylie Carter, Baldwin, 1:06.68; 4. Isabella Omura, Lahainaluna, 1:07.27; 5. Katelen Orquia, Maui High, 1:08.58. 100 breaststroke–1. Kaimilani Matsumoto, Baldwin, 1:09.19; 2. Kysha Altura, Maui Prep, 1:12.40; 3. Lexi Anderson, Lahainaluna, 1:13.89; 4. Kristi Kimura, Baldwin, 1:20.54; 5. Nikki Zamani, Lahainaluna, 1:21.58. 400 freestyle relay–1. Baldwin ‘A’ (Rebecca Buenrostro Gallimore, Kylie Carter, Bailey Augustine, Kaimilani Matsumoto) 3:49.01, 2. Seabury Hall ‘A’ 3:53.02, 3. King Kekaulike ‘A’ , 4:01.82, 4. Baldwin ‘B’ 4:24.68, 5. Baldwin ‘C’ 4:37.37. 200 medley relay–1. Baldwin ‘B’ (Josh Ooka, Brandon Kwock Fukuda, Alexander Strand, Lucas Licht) 1:54.35, 2. Baldwin ‘A’ 1:54.47, 3. King Kekaulike ‘A’ , 2:00.75, 4. Seabury Hall ‘A’ 2:04.31, 5. Kamehameha Maui ‘A’ 2:09.19. 200 freestyle–1. Slater Fleck, Maui Prep, 1:51.67; 2. Brandon Kwock Fukuda, Baldwin, 1:53.07; 3. Kobe Lilio, Kamehameha Maui, 1:54.26; 4. Sean Cerizo, St. Anthony, 1:57.42; 5. Aaren Orquia, Maui High, 1:58.38. 200 IM–1. Jaden Yip, Lahainaluna, 2:06.07; 2. Kendall Beam, Lahainaluna, 2:14.44; 3. Josh Ooka, Baldwin, 2:18.55; 4. Jordan Beam, Lahainaluna, 2:19.95; 5. Bernardo Buenrostro Gallimore, Baldwin, 2:31.08. 50 freestyle–1. Kaipo Acain, Baldwin, 23.20; 2. Sean Cerizo, St. Anthony, 23.90; 3. Kaeo Kaupalolo, Kamehameha Maui, 24.35; 4. John Williamson, Kamehameha Maui, 24.61; 5. Aaron Veincent, Kamehameha Maui, 24.84. 100 butterfly–1. Kobe Lilio, Kamehameha Maui, 58.52; 2. Brandon Kwock Fukuda, Baldwin, 58.65; 3. Owen Lingenfelder, Seabury Hall, 58.94; 4. Jaden Yip, Lahainaluna, 59.40; 5. Kian Leonard, Maui High, 1:05.39. 100 freestyle–1. Slater Fleck, Maui Prep, 51.02; 2. Kendall Beam, Lahainaluna, 53.43; 3. Jordan Beam, Lahainaluna, 54.61; 4. Josh Ooka, Baldwin, 55.99; 5. Sean Janneck, Seabury Hall, 56.95. 500 freestyle–1. Sean Cerizo, St. Anthony, 5:31.09; 2. Kaipo Acain, Baldwin, 5:38.11; 3. Kian Leonard, Maui High, 6:03.02; 4. Tyler Chaco, Maui High, 6:05.27; 5. John Williamson, Kamehameha Maui, 6:25.22. 200 freestyle relay–1. Kamehameha Maui ‘A’ (Kobe Lilio, Jonah Miller, Aaron Veincent, Kaeo Kaupalolo) 1:40.41, 2. Maui High ‘A’ 1:43.10, 3. King Kekaulike ‘A’ 1:44.01, 4. Maui Prep ‘A’ 1:46.47, 5. Seabury Hall ‘A’ 1:47.97. 100 backstroke–1. Aaren Orquia, Maui High, 59.59; 2. Slater Fleck, Maui Prep, 1:02.51; 3. Alexander Strand, Baldwin, 1:13.16; 4. Daniel Tongson, St. Anthony, 1:15.95; 5. Brandon Yoshikawa, Maui High, 1:16.59. 100 breaststroke–1. Kazutaka Iinuma-Nakaaki, Seabury Hall, 1:10.71; 2. Kendall Beam, Lahainaluna, 1:14.36; 3. Bernardo Buenrostro Gallimore, Baldwin, 1:15.75; 4. Jordan Beam, Lahainaluna, 1:16.43; 5. Jalen Kalama, Molokai, 1:16.67. 400 freestyle relay–1. Kamehameha Maui ‘A’ (Kaeo Kaupalolo, John Williamson, Aaron Veincent, Kobe Lilio) 3:40.37, 2. Baldwin ‘A’ 3:42.81, 3. Baldwin ‘B’ 3:55.76, 4. Seabury Hall ‘A’ 4:05.29, 5. King Kekaulike ‘A’ 4:07.40. Final team scores–1. Baldwin 65, 2. Maui Prep 50, 3. Maui High 41, 4. Seabury Hall 30, 5. Molokai 12, 6. Lahainaluna 10, 6. King Kekaulike 10, 8. Kamehameha Maui 4. 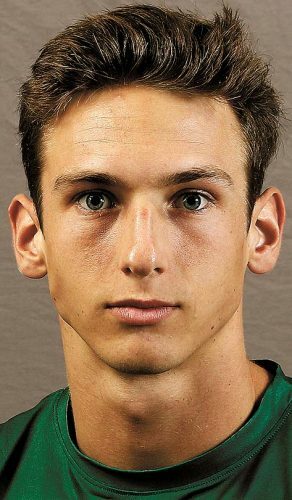 1-meter diving–1. Mahana Merrill, Baldwin, 378.90; 2. Kayla Newman, Baldwin, 316.35. 200-yard medley relay–1. Baldwin ‘A’ (Rebecca Buenrostro Gallimore, Kaimilani Matsumoto, Bailey Augustine, Kylie Carte) 1:53.26, 2. Maui Prep ‘A’ 1:59.57, 3. Maui High ‘A’ 2:05.50, 4. Baldwin ‘C’ 2:09.96, 5. Molokai ‘A’. 200 freestyle–1. Kaimilani Matsumoto, Baldwin, 1:59.84; 2. Paige Nagahama, Seabury Hall, 2:10.95; 3. Noelle Sheveland, Maui Prep, 2:20.85; 4. Danielle Bergson, Maui Prep, 2:23.28; 5. Erin Tanaka, Seabury Hall, 2:30.31. 200 IM–1. Kysha Altura, Maui Prep, 2:13.63; 2. Jasmine O’Brien, Seabury Hall, 2:22.89; 3. Isabella Omura, Lahainaluna, 2:36.78; 4. Rebecca Geng, Maui Prep, 2:37.75; 5. Destiny Seegmiller, Maui High, 2:39.17. 50 freestyle–1. Aniston Eyre, King Kekaulike, 24.40; 2. Lexi Anderson, Lahainaluna, 25.40; 3. Madison Eiting, Seabury Hall, 26.03; 4. Irie Gonah, Maui Prep, 26.13; 5. Hailey Bogar, Lahainaluna, 26.62. 100 butterfly–1. Paloma Banto, Maui Prep, 1:02.24; 2. Kamille Pellittieri, Seabury Hall, 1:03.41; 3. Caroline Short, Maui High, 1:06.83; 4. Paige Nagahama, Seabury Hall, 1:08.20; 5. Kylie Carter, Baldwin, 1:09.81. 100 freestyle–1. Rebecca Buenrostro Gallimore, Baldwin, 53.89; 2. 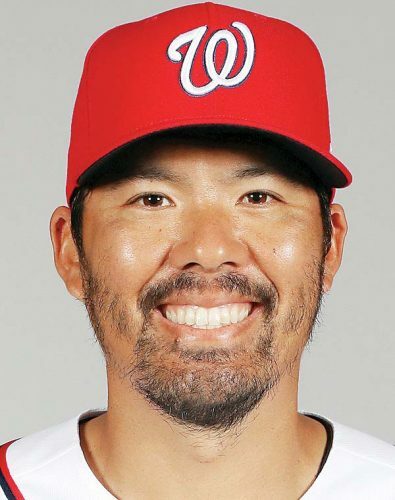 Kaimilani Matsumoto, Baldwin, 54.00; 3. Jordynn Brown, Maui High, 55.22; 4. Madison Eiting, Seabury Hall, 56.84; 5. Katelen Orquia, Maui High, 1:01.45. 500 freestyle–1. Kysha Altura, Maui Prep, 5:09.75; 2. Aniston Eyre, King Kekaulike, 5:15.39; 3. Jasmine O’Brien, Seabury Hall, 5:25.40; 4. Lexi Anderson, Lahainaluna, 5:27.99; 5. Paloma Banto, Maui Prep, 5:32.52. 200 freestyle relay–1. Maui High ‘B’ (Destiny Seegmiller, Kaylee Russell, Camryn Ban, Jordynn Brown) 1:50.77, 2. Baldwin ‘B’ 1:52.47, 3. Maui High ‘A’ 1:53.52, 4. Maui Prep ‘A’ 1:56.44, 5. Baldwin ‘C’ 2:02.05. 100 backstroke–1. Rebecca Buenrostro Galli Baldwin, 59.84; 2. Maire Kalawa, Molokai, 1:12.00; 3. Kamille Pellittieri, Seabury Hall, 1:12.53; 4. Hailey Knowles, Baldwin, 1:14.50; 5. Naomi Takakura, Baldwin, 1:16.04. 100 breaststroke–1. Jordynn Brown, Maui High, 1:10.49; 2. Kylie Carter, Baldwin, 1:11.33; 3. Katelen Orquia, Maui High, 1:16.74; 4. Jacsen Donohue, Baldwin, 1:18.58; 5. Olivia Grace Lawrence, Baldwin, 1:21.48. 400 freestyle relay–1. Baldwin ‘A’ (Kaimilani Matsumoto, Kylie Carter, Jacsen Donohue, Rebecca Buenrostro Gallimore) 3:50.72, 2. Maui Prep ‘A’ 3:56.81, 3. Maui High ‘A’ 4:27.98, 4. Seabury Hall ‘A’ 5:25.27. Final team scores–1. Baldwin 66, 2. Seabury Hall 34, 3. Kamehameha Maui 31, 4. Maui High 23, 5. King Kekaulike 17, 6. Maui Prep 16, 7. Molokai 13, 8. St. Anthony 12, 9. Lahainaluna 5. 1-meter diving–1. Benton Turner, Baldwin, 246.00. 200-yard medley relay–1. Seabury Hall ‘A’ (Sean Janneck, Kazutaka Iinuma-Nakaaki, Owen Lingenfelder, Jacob Akana) 1:54.892. Baldwin ‘A’ 2:05.56, 3. Molokai ‘A’ 2:09.79, 4. Maui High ‘A’ 2:12.51, 5. Maui Prep ‘A’ 2:15.64. 200 freestyle–1. Kaipo Acain, Baldwin, 1:51.93; 2. Josh Ooka, Baldwin, 2:07.91; 3. Royden Abalfo, Molokai, 2:16.09; 4. John Williamson, Kamehameha Maui, 2:18.61; 5. Jonah Kirkham, Maui Prep, 2:18.83. 200 IM–1. Kaeo Kaupalolo, Kamehameha Maui, 2:11.77; 2. Sean Cerizo, St. Anthony, 2:12.39; 3. Kazutaka Iinuma-Nakaaki, Seabury Hall, 2:26.74; 4. Sean Janneck, Seabury Hall, 2:29.85; 5. Declan Levin, Baldwin, 2:40.05. 50 freestyle–1. Bernardo Buenrostro Gallimore, Baldwin, 23.37; 2. Owen Lingenfelder, Seabury Hall, 23.81; 3. Kobe Lilio, Kamehameha Maui, 23.91; 4. Kendall Beam, Lahainaluna, 24.14; 5. Slater Fleck, Maui Prep, 24.17. 100 butterfly–1. Austin DeCambra, King Kekaulike, 55.88; 2. Slater Fleck, Maui Prep, 59.36; 3. Gabriel Dibiase, King Kekaulike, 1:19.03. 100 freestyle–1. Sean Cerizo, St. Anthony, 52.10; 2. Kaeo Kaupalolo, Kamehameha Maui, 53.10; 3. Aaren Orquia, Maui High, 53.26; 4. Owen Lingenfelder, Seabury Hall, 53.54; 5. Bernardo Buenrostro Gallimore, Baldwin, 54.34. 500 freestyle–1. Kobe Lilio, Kamehameha Maui, 5:08.43; 2. Austin DeCambra, King Kekaulike, 5:19.86; 3. Brandon Kwock Fukuda, Baldwin, 5:21.06; 4. Kendall Beam, Lahainaluna, 5:34.35; 5. Jordan Beam, Lahainaluna, 5:44.35. 200 freestyle relay–1. Baldwin ‘A’ (Bernardo Buenrostro Gallimore, Kaipo Acain, Brandon Kwock Fukuda, Lucas Licht) 1:36.85, 2. Kamehameha Maui ‘A’ 1:37.46, 3. Maui High ‘A’ 1:42.50, 4. Baldwin ‘B’ 1:48.70, 5. Molokai ‘A’ 1:50.05. 100 backstroke–1. Josh Ooka, Baldwin, 1:00.60; 2. Austin DeCambra, King Kekaulike, 1:02.20; 3. Sean Janneck, Seabury Hall, 1:07.33; 4. John Williamson, Kamehameha Maui, 1:12.69; 5. Tyler Chaco, Maui High, 1:13.96. 100 breaststroke–1. Kaipo Acain, Baldwin, 1:05.89; 2. Slater Fleck, Maui Prep, 1:06.23; 3. Aaren Orquia, Maui High, 1:06.84; 4. Sean Cerizo, St. Anthony, 1:11.11; 5. Benton Turner, Baldwin, 1:12.86. 400 freestyle relay–1. Baldwin ‘A’ (Brandon Kwock Fukuda, Lucas Licht, Josh Ooka, Kaipo Acain) 3:39.97, 2. Seabury Hall ‘A’ 3:57.78, 3. Maui High ‘A’ 3:58.86, 4. Maui Prep ‘A’ 3:59.13, 5. Baldwin ‘B’ 3:59.45.